Shark Diver : Shark Diving : Swimming With Sharks: No cage shark diving with Shark Diver? No cage shark diving with Shark Diver? Mens Journal, in it's October issue has an article on "no cage shark diving". In that article, Shark Diver is mentioned as offering such dives. "There is definitely a bucket list aspect," says Martin Graf, who conducts trips in the Bahamas and Guadalupe through his company, Shark Diver, which began offering no-cage expeditions in 2012. " I want to make sure that everyone understands that we do not offer cage free dives with Great White Sharks at Isla Guadalupe! Our cage free diving is only done, where it is both legal and safe to do so, with Tiger Sharks in the Bahamas and Bull Sharks in Fiji. Our dives at Isla Guadalupe are exclusively in cages and are part of a 5 day live aboard trip, leaving from San Diego. You can find our schedule for these trips here. In Fiji, we are not using cages and are diving with up to 70 Bull Sharks at a time. Our partners there, Beqa Adventure Divers have been safely operating these cage free dives for over 10 years. They are of course also the guys who were instrumental in the designation of their Shark Reef as a national park. We talked about their good work here. 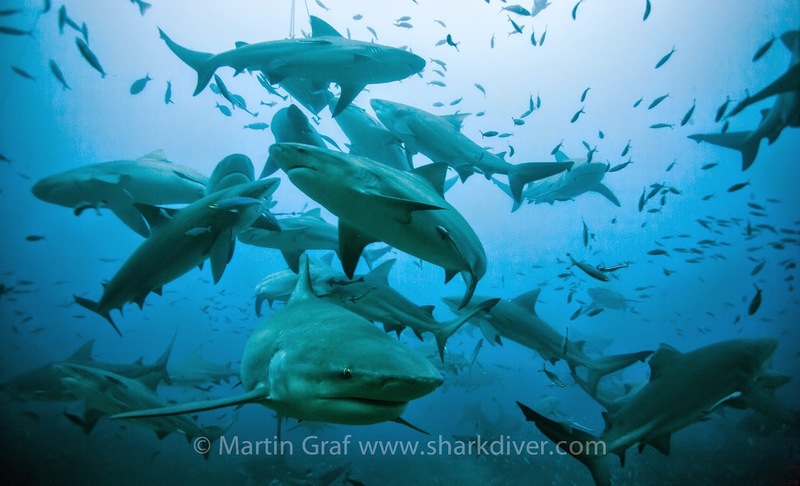 You can find more information on our Bull Shark trips to Fiji here. 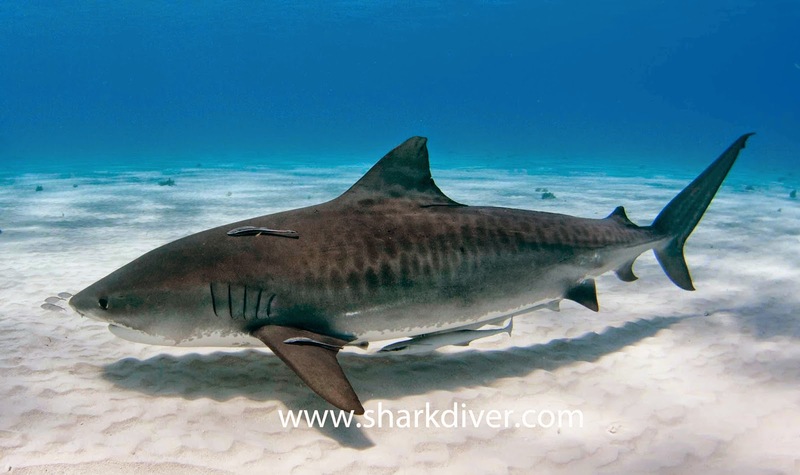 In the Bahamas, we dive with Tiger Sharks. We do not use cages there and only attract the sharks to the dive site, but do not hand feed, or in any way handle the sharks. For more info on these trips, visit our website here. We at Shark Diver have always been outspoken on the no cage diving that is going on at Guadalupe and have written about it here, here, and here.